There are plenty of DJs who have their own followings in cities across the world, but how many of them can say they have an influence on what’s popular nationwide? Atlanta’s own DJ Mike Pope can. He’s a reporter for Billboard‘s Hot Dance Club Songs chart, one of Billboard‘s many weekly charts that has a unique twist. Each week’s chart is compiled exclusively from playlists submitted by a select group of nightclub Djs. Pope, who also serves as the resident DJ for Heretic, will be playing at the club’s evening as host for Peach Party on Friday, June 20, where he’ll open for DJ Tony Moran. We caught up with Pope to talk about his start as a DJ, his gig with Billboard, and more. Mike Pope: I’ve been a music lover my whole life which is why it’s no surprise that I went to college for Video and Film Production using my education to make music videos for local artists. 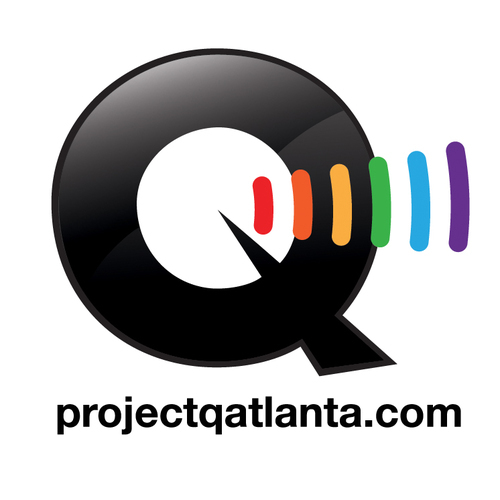 When I first moved to Atlanta, it was the nightlife scene that introduced me to so much great dance music. After experiencing some amazing DJ sets at clubs like Backstreet and Blu, it wasn’t long until I found myself hanging out in the DJ booths watching and learning from the pros like Tony Moran, Chris Cox and Tracy Young. It wasn’t until 2006 that I finally decided to try my hand at DJing so I bought some equipment and started spinning some parties for friends. I was hooked and I knew that I needed to take things to the next level. That level was a shot spinning at WETbar in 2007 and was a dream come true. DA: You’re opening for Tony Moran at Peach Party. What do you think of Tony? MP: Tony is actually the DJ that inspired me most and encouraged me to follow my passion of becoming a DJ. I really look up to him for his producing talents and how he can mesmerize his crowds with his sets. I’ve had the privilege of opening for Tony a few times in my career and he’s always so supportive and genuine. I’ll never forget one time I played at XION for an after hours and he danced to my whole set that night. I’m so excited to be working with him again and kicking off Peach Party. DA: You’re currently the resident DJ at Heretic. How did you land the position, and how long have you held the position? MP: The General Manager, Alan Collins, had heard me spin at several charity events around town and asked if I would be a guest DJ at the club. That night led to more nights that then turned into a residency at the Heretic that I have held for over four years. Saturday nights I spin my Late Night Dance party and spin at least once at month on Friday nights at the club. DA: You’re currently a reporter for Billboard. What does that entail? MP: Working with Billboard for the last three years has been an amazing honor and experience. I’m among a diverse group of professional DJs that have been selected to report what songs are working best on our dance floors every week in our clubs. I was fortunate enough to be invited to join the Billboard Dance/Club Play panel during a gig I had in Miami during Winter Music Conference and came on board to represent the Atlanta and Georgia dance music market. That entails listening to lots of dance tracks every week and providing feedback to the record labels and promoters. Having that channel of access to new music is definitely a benefit as a working DJ. DA: When you’re not DJing, what do you do? MP: When I’m not DJing, I spend my time sorting and reviewing dance music for Billboard, planning my sets, doing mashups and edits of tracks I play out and recording podcasts that I post on iTunes, Podomatic and Soundcloud. I also enjoy hanging out with friends and going to the movies.